TopinDigiXpert promises to deliver cutting-edge mobile app development services to startups and enterprises in every industry. 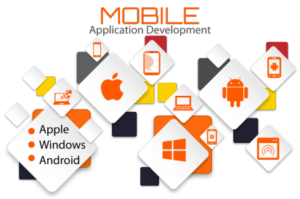 Our dedicated and talented mobile app developers tremendously work to deliver the full rage mobile app service to all our clients by using the best tools and technologies for mobile app development. We provide mobile app development service to create a unique mobile experience across multiple platforms, devices, and Operating Systems. We are one of the best mobile app development services companies who offer an end-to-end mobile app development services. No matter what your business is, a mobile app can help you get and retain customers. 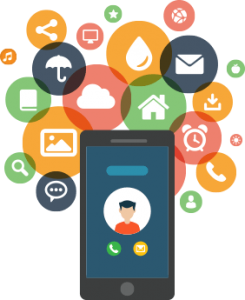 Mobile apps playing an important role in business development, and all our solutions are customizable to a clients’ business, deliver personalized solutions and higher ROI. Android is the most widely used operating system across the globe and we offer our clients android app services to grow their business. As a mobile app development service provider, we stick to the best technology and features, to provide users best experience. For us, while using an app, user’s satisfaction is important and we focus on that. Android is a mobile operating system, designed primarily for touchscreen mobile devices such as smartphones and tablets. iOS is a mobile operating system created and developed by Apple Inc. exclusively for its hardware. In all products of Apple, ios is used. Microsoft Windows, or simply Windows, is a group of several graphical operating system families. We create apps that look great, having high-quality features. Mobile apps should be fully usable on a wide variety of devices and mobile operating systems. A simple user interface will allow the user to perform multiple tasks using a few simple steps. Functionality of an app must be clear to users as well. Beneficial to involve real users when evaluating different UI design ideas. Once the app developed, we take clients' feedback to provide them better results.